Too Long? - We will be introducing templates - (predrilled boards) to help you build hardware faster. We are looking for feedback from you so we can fit your design requirements better. I wanted to share some exciting news with you. Over then next couple of weeks we will be stocking our webstore with an assortment of templates. 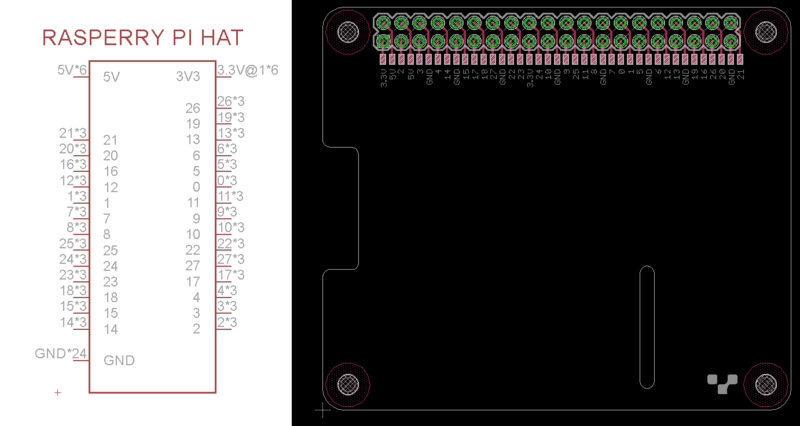 These templates will allow you build hardware faster with the V-One. We will offer several types of templates, some will be development platform specific while others will be general purpose. Be sure to thank @mewertow for designing them! So what exactly are templates? 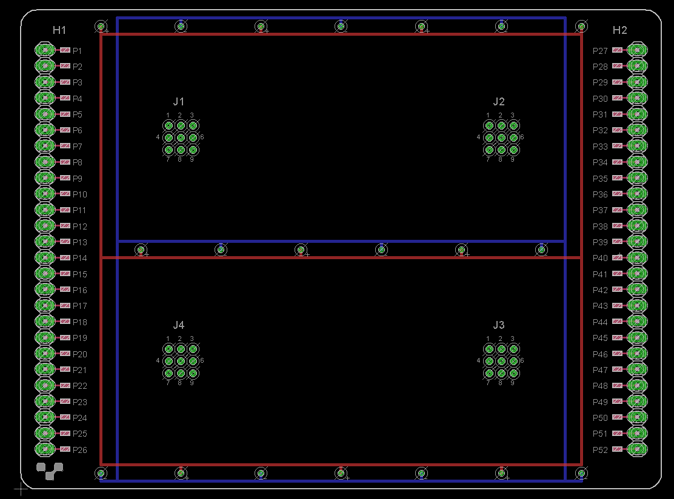 Templates are pre-made PCBs that have certain features like plated pads and thruholes in strategic locations. We mentioned them ages ago during our Kickstarter campaign, and even @a2retro brought them up here. Over the past couple of years there have been numerous development platforms like Arduino, Raspberry Pi, Particle, etc that have lowered the barriers of electronics. We want to support these communities by offering platform specific templates. We will also be developing some unique Voltera-flavoured templates. For example, the template below is 3"x 4". 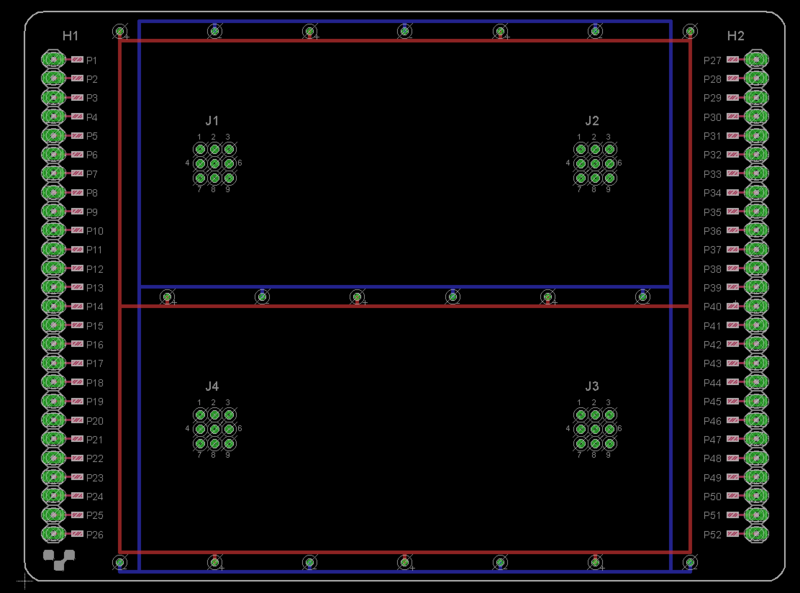 It contains a row of 0.1" headers along the edges and contains clusters of vias near the center of the board. These clusters of vias can be used to connect signals from the top to the bottom layer. There are also connected vias along the length of the board, these could serve as power and ground connection points. And how do they help? Hassle Free Double Sided - The V-One doesn't have a built in drill attachment. So all holes have to be drilled and filled by hand. If a template has built in vias, you can connect layers much easier by taking advantage of them. Personally, I'd rather sit at my computer and do a couple of extra clicks to route a trace to a via instead of pulling out the Dremel and the safety glasses. Custom Shields - Development platforms offer many types shields/hats/capes, but often times they don't do exactly what you need or they are an overkill solution (i.e - 6 stepper drivers when you only need 2). A platform specific template will allow you to create a shield for exactly what you need it for. SMT Breakouts - I don't know about you guys, but when dealing with a brand new IC, even after reading a datasheet numerous times there is always a bit of doubt for me that i'm interpreting it correctly. Thruhole components are easy because you can breadboard them, but for surface mount components you tend to make a leap of faith. With templates you'll be able to print breakout for the IC's right away and perform unit tests. For Eagle Users - We will be supplying an Eagle library that users can download that will have all the parts. For Other Users - We will be posting dimensioned drawings so parts can be derived from them. When it comes time to prototyping with the V-One, you would mount the template on the bed and do an aligned print. Select two pads in the template that you want to align to and the software will take care of the rest. It might take some time to get the hang of it, but we are confident they'll prove to be a valuable addition to your PCB design workflow. If you think this is a cool idea, a bad idea, or you need to see some examples of it before you make up your mind... please let us know! We would love to hear from you guys about how we can fit your design requirements better. @jazozaya Seems to be a second image that isn't coming up. Thanks for the heads up @cborn, i'll re-upload tomorrow morning. This is great news and will save a lot of people tons of time, thanks! Arduino, Photon, and Raspberry formats are a great start, but consider supporting Tessel as well, which uses smaller PCB extensions (called modules rather than shields) with ten pin headers angled sideways. Thanks for the feedback @michael, I haven't heard of Tessel - I'll give it a look! In addition to the Tessel module template which doesn't exist, Minnowboard 'lures' would be useful to me. These are both platforms that aren't as popular, unfortunately. I'm really happy to see the Raspberry Pi template, as well as the others. The more the merrier!